As the year winds down, thoughts turn toward the holiday season and the fun wintertime adventures beyond. This issue has a full slate of both, from skiing near New York’s Finger Lakes to a Southern town all dressed up for Christmas. 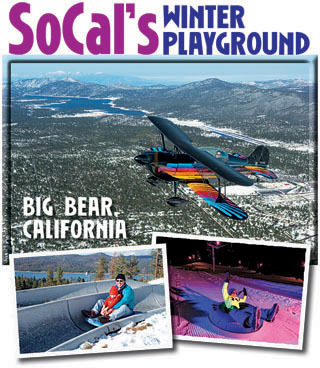 Out West, you can fly from balmy Los Angeles to two ski resorts in just minutes. And in the Rocky Mountains, winter winds down with one of the wackiest festivals you’ve probably never heard of. Fall and early winter can be wonderful times to fly, with clear skies, calm winds, and autumn foliage all providing special treats to adventurous pilots. In this issue, we’ll take you skydiving in the Midwest, and then on to a safari at one of the world’s largest private ranches, where you’ll find a greater density of wild animals than even Yellowstone National Park. Along the East Coast, you can take a history and literature-oriented trip to Concord and Plymouth, or at the other side of the country, visit Big Sur, a place of endless beauty and relaxation on California’s Central Coast. Fly-ins and airshows are the hallmarks of summer in the aviation world, and we’ve got two of the best lined up for you in this issue. Fly in to one of America’s largest grass airstrips with a green carpet that rivals a golf course in beauty and smoothness. This amazing airstrip is a gift to aviators from a man who simply loves airplanes, big and small. 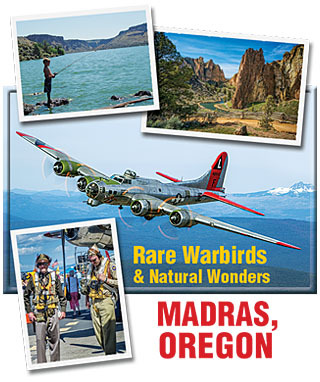 We’ll also take you to central Oregon, home of an exceptional airshow and one of the world’s finest collections of World War II aircraft, almost all of which are airworthy. We round out this issue’s getaways with explorations of a New England mountain region and a Midwestern lake resort community. Summer is in full swing and it’s time to dream of travel with your airplane. The biggest dream of all is to fly yourself around the world, and we’ve got an exclusive story by Robert DeLaurentis (aka the Zen Pilot) about his around-the-world trip in his Piper Meridian, which included plenty of thrills… both the wanted and unwanted kind. This year marks the 100th anniversary of the National Park Service, and we cover three NPS units: Cedar Breaks National Monument, Zion National Park, and Crater Lake National Park. Each of these locations offers its own spectacular and unique scenery. There’s no better time than now to get out there and explore your public lands! Spring has sprung, so it’s high time to start planning this year’s flying adventures. 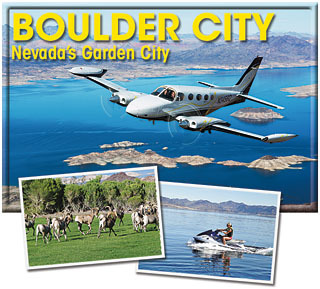 Experience Lake Mead, Hoover Dam, and a plethora of hidden treasures in the Las Vegas Valley. See where the famous Budweiser Clydesdales are born and immerse yourself in a vibrant Midwest college town. Plan a sidetrip from Oshkosh on the Mighty Mississippi River. 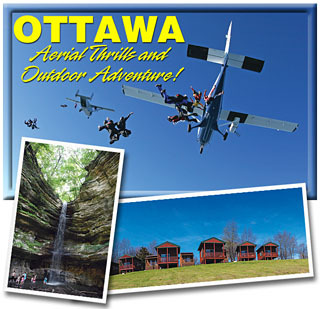 We also take you to a range of fun fly-ins across the country and across the aviation spectrum.